So I stumbled upon a store called Ever-Pretty (link below) and they have the cutest dresses! They have everything from casual dresses, to prom dresses, to party dresses. I chose this blue dress because I can wear it on a casual summer day, yet I can also wear it to a wedding if I wanted to. I love it because not only does it come with padding in it, which means I dont have to wear a strapless bra, but it can also be adjusted as well. There are STUNNING laces in the back that adjust the bust, which is always a struggle for me! The slit along the left side also adds a little something extra to the dress. 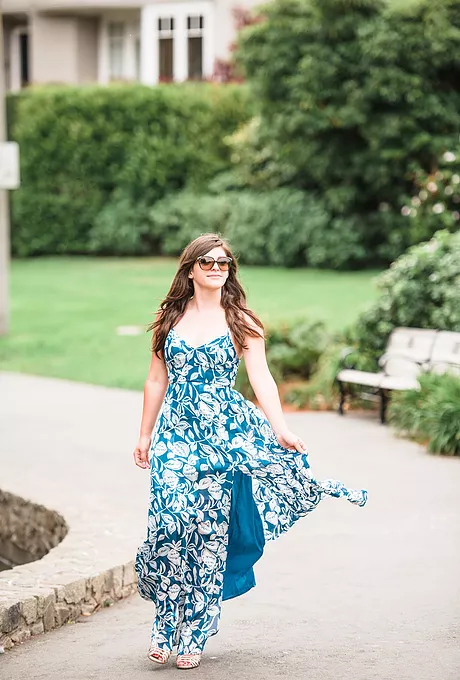 If you are looking for that perfect dress to blow with you in the wind, (like a supermodel), this is definitely the one! I also have a 30% off coupon code for all you babes! Just enter “epinsta” during checkout. Love this dress – so playful and summery!